A loose-fitting camp shirt with a modern twist has tailored collar and stand, back yoke, armhole bands and exaggerated hems with side vents and a six-button closure. 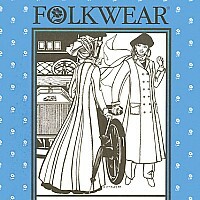 Fabric suggestions: light to medium-weight cotton or linen. Material requirements include: 45" wide - 3 yds all sizes, 60" wide 1 7/8 yds sizes XS-M and 2 1/4 yds sized L-XXL. 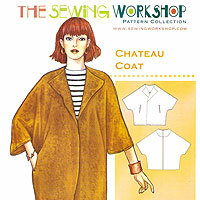 'Cottage Shirt' pattern by The Sewing Workshop, sizes XS-XXL. Recital Shirt - Women's Pattern by Liesel + CO.
"Luana, I received my order today and oh my gosh! What wonderful fabric. As usual its above and beyond what I expected. I also wanted to thank you for the little swatches you always..."
"Would I like to write a testimonial? Would I! The internet offers so much but to find a human connection is rare. Of course, I like eQuilter for their awesome sales and huge selection...."
"I am so happy to have found eQuilter! You offer fabrics that I can't find anywhere but your website / store. Shipping is speedy too! Thank you eQuilter staff!"